As many of you know, Facebook founder, Mark Zuckerberg, announced a change mid-January that can affect the way we digitally market our brands. Needless to say, this change in the Facebook business algorithm requires attention. Don’t worry! Facebook marketing is not off the table. Your marketing strategy can still be successfully utilized; however, you may want to make a few small changes to guarantee your relevance in the News Feed. The influence behind Zuckerberg’s change was to minimize content that is considered “too promotional” and reduce the number of ads from unreliable sources. The focus has now been shifted to focus on high quality and trusted news sources. All this stems from the user experience, specifically opinions and personal preferences. Zuckerberg also believes that due to this change, engagement levels and time spent on Facebook will decrease, but his new goal is to focus on the value of content and time spent connecting with each other. Like Zuckerberg expects, engagement rates and organic reach numbers will decrease due to the algorithm change. Now, don’t start creating desperate posts, otherwise known as “engagement bait” to increase your organic reach. These posts are not creative. They do not make people want to like, comment or share your content. This now proposes an opportunity to get creative. Since engagement rates are important to us as marketers and business people, now is our chance to create relatable content. What would YOU want to participate in? What would YOU want to win? If people like what they see, they will be more likely to share these posts, which will then encourage their family and friends to see and comment on posts. Hootsuite acknowledges we are now faced with the challenge of staying relevant in the News Feed. To do this, we need the people to keep talking. Here are some suggestions to enhance your strategy. Start utilizing Facebook Live. Going live leads to more discussion. Comments are flowing and reactions enhance engagement. Many people didn’t understand the purpose of Facebook Live at first, because everyone had video options on Instagram and Snapchat, but with this change, the live feature will really help your company flourish. Focus on the quality of your post rather than the quantity of posts. Now that the “engagement bait” method is dead, really focus in on making a good post. When a post is well-created and appealing, more people will respond. In addition, make your content more shareable. If there’s a way to make it appeal to more than one demographic with one tactic, DO IT! This way, your content will show up more frequently in the News Feed. Lastly, use Facebook Advertising. Even though Zuckerberg is trying to eliminate the amount of business content, advertising is everywhere and cannot be completely eliminated because it is paid. Whether it’s a big chunk of change, or the minimum you can afford, advertising is an investment and it will be displayed. But, use your dollars wisely here. Consider the suggestions listed above and apply it to your advertising strategy. 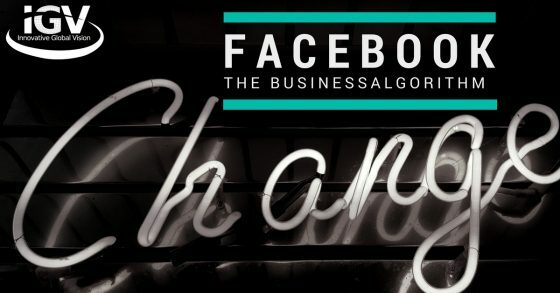 Even though Facebook is limiting business strategies, it creates a motivation for us to come up with the next best method. Get inspired and good luck!